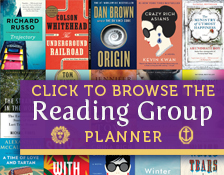 The questions, discussion topics, and author biography that follow are designed to enhance your group’s reading of Ernest J. Gaines’s A Lesson Before Dying. We hope that they will provide you with multiple ways of looking at—and talking about—a novel whose eloquence, thematic richness, and moral resonance have called forth comparisons to the work of Richard Wright, James Baldwin, and William Faulkner. In a story so simple that it might be a lost parable from the Gospels, Gaines has compressed the entire bitter history of black people in the South—and, by extension, in America as a whole. A Lesson Before Dying is about the ways in which people insist on declaring the value of their lives in a time and place in which those lives count for nothing. It is about the ways in which the imprisoned may find freedom even in the moment of their death. As such, Gaines’s novel transcends its minutely evoked circumstances to address the basic predicament of what it is to be a human being, a creature striving for dignity in a universe that often denies it. 1. All the characters in A Lesson Before Dying are motivated by a single word: “hog.” Jefferson’s attorney has compared him to a hog; Miss Emma wants Grant to prove that her godson is not a hog; and Jefferson at first eats the food she has sent him on his knees, because “that’s how a old hog eat.” How are words used both to humiliate and to redeem the characters in this novel? 2. Grant’s task is to affirm that Jefferson is not a hog, but a man. The mission is doubly difficult because Grant isn’t sure he knows what a man is. What definition of manhood, or humanity, does A Lesson Before Dying provide? Why is manhood a subversive notion within the book’s milieu? 4. For all the book’s religious symbolism, the central character is a man without faith. Grant’s refusal to attend church has deeply hurt his aunt and antagonized Reverend Ambrose, whose religion Grant at first dismisses as a sham. Yet at the book’s climax he admits that Ambrose “is braver than I,” and he has his pupils pray in the hours before Jefferson’s death. What kind of faith does Grant acquire in the course of this book? Why does the Reverend emerge as the stronger of the two men? 5. One of the novel’s paradoxes is that Ambrose’s faith—which Grant rejects because it is also the white man’s—enables him to stand up against the white man’s “justice.” How do we resolve this paradox? How has faith served African-Americans as a source of personal empowerment and an axis of communal resistance? 6. Grant believes that black men in Louisiana have only three choices: to die violently, to be “brought down to the level of beasts,” or “to run and run.” How does the way in which Gaines articulates these grim choices—and suggests an alternative to them—make A Lesson Before Dying applicable not only to Louisiana in 1948 but to the United States in the 1990s? 7. Women play a significant role in the book. Examine the scenes between Grant and Tante Lou, Grant and Vivian, and Jefferson and Miss Emma, and discuss the impetus that Gaines’s women provide his male characters. In what ways do these interactions reflect the roles of black women within their families and in African-American society? 9. Like Faulkner and Joyce, Gaines has been acclaimed for his evocation of place. In A Lesson Before Dying his accomplishment is all the more impressive because of the book’s brevity. What details in this book evoke its setting, and what is the relation between its setting and its themes? 10. From the manslaughter that begins this novel to the judicial murder at its close, death is a constant presence in A Lesson Before Dying. We are repeatedly reminded of all the untimely, violent deaths that have preceded Jefferson’s and, in all likelihood, will follow it. Why then is Jefferson’s death so disturbing to this book’s black characters, and even to some of its white ones? What does Jefferson’s death accomplish that his life could not? Fiction: James Baldwin, Go Tell It on the Mountain; William Faulkner, The Sound and the Fury, Absalom, Absalom!, As I Lay Dying, Sanctuary; Ernest J. Gaines, Catherine Carmier, Of Love and Dust, Bloodline, The Autobiography of Miss Jane Pittman, In My Father’s House, A Gathering of Old Men; Richard Wright, Native Son. Nonfiction: Helen Prejean, C.S.J., Dead Man Walking; Theodore Rosengarten, All God’s Dangers: The Life of Nate Shaw; anything on the Scottsboro Boys; Eugene Genovese, Roll, Jordan, Roll: The World the Slaves Made. Read an author bio and view a complete list of titles by Ernest J. Gaines available from Random House here. “We all know–at least intellectually–that we’re going [to die]. The difference is being told, ‘Okay, it’s tomorrow at 10 a.m.’ How do you react to that? How do you face it? That, it seems to me, is the ultimate test of life.